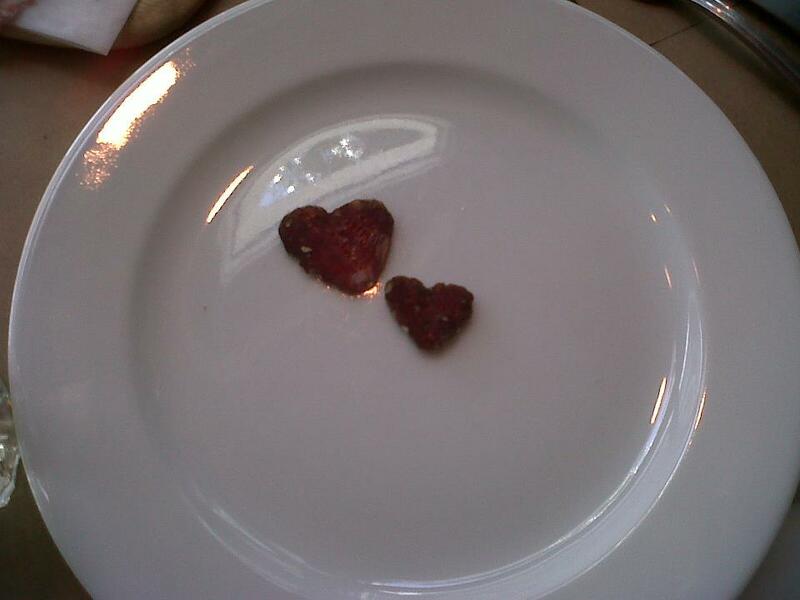 Love is everywhere…even on my plate! As with everything in life, love evolves over time. When we were babies, love was only found in the arms of our parents, the smile on their faces, and the milk of mom’s breasts. In elementary school years, love was receiving dozens of letters on Valentine’s Day. When we were teenagers, love was getting anonymous notes, daydreaming that they were from that one crush and keeping our fingers crossed while waiting for that call. In our twenties, love was looking for The One and wondering if we would ever find him or her. -Showing and sharing the love we feel for each other! Now that I am in my 30s, I look forward to staying in love more than I ever craved falling in love. As Steven Covey said: “Seeking first to understand, then to be understood”. Loving every day as an ode to life. What does love mean to you these days? Show me some love by letting me know!